FAQ For the feedHopper iPad app. Is your question not here, or not clear enough for you? Post a comment with your question and we will expand the FAQ. Welcome to the feedHopper Users Guide! 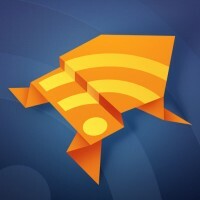 feedHopper allows you to download and read RSS feeds and tweets. What is a feed? Twitter accounts, web sites, and blogs typically experience one or more updates a day, and you may find yourself “hopping” to and from your favorite web sites to check for new posts. Most web sites today publish their updates in a format called “RSS” or “ATOM”. They typically advertise this fact somewhere on their site, usually with an orange “RSS” icon of sorts. With feedHopper! you can peruse all of your favorite websites’ updates with the push of a button. You will be notified which of your websites have new articles, and can read them in a highly readable format directly within the application. You can even visit the full original article on the web, or interact with web links and images of the articles, including playing any attached podcasts.